The academy vision is to increase the number of compassionate and dedicated future professionals committed to excellence. The mission of the Academy is to prepare students for post-secondary education and health careers through rigorous academic and relevant real-world experiences. 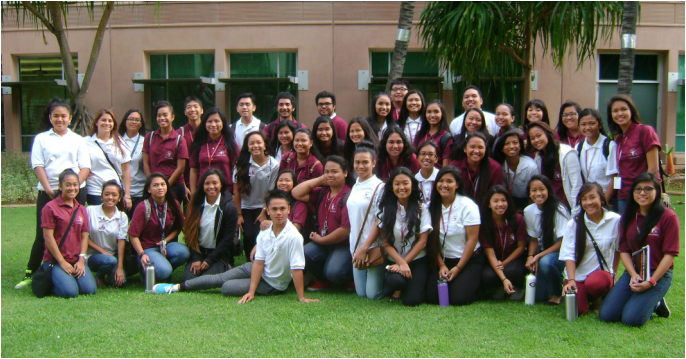 Farrington High School's Health Academy, established in 1991, is a business/education partnership built on a health-related theme that provides a transition to higher education and entry level employment. In April 1996, the Farrington Health Academy was one of twelve schools honored to receive the U.S. Department of Education Secretary's Award for Outstanding Vocational Technical Education Program. The program contributes to meeting Hawaii's continuing need for home-grown health care providers. This business/education partnership includes the Healthcare Association of Hawaii, the University of Hawaii, Kapiolani Community College, John A. Burns School of Medicine, Shriner's Hospital, Hawaii Pacific Health, National Library of Medicine and other healthcare facilities in the community. Health Academy receives support from healthcare partners in areas such as curriculum development, job shadowing opportunities, clinical experience, mock interviews, writing assessment, guest speakers and other in-kind support. The Health Academy offers a four-year interdisciplinary program which is open to incoming freshman who are interested in developing their career interest in health care and in preparing for entry level positions in health occupations and/or further schooling in the health field. The teachers in english, social studies, science, and health occupations work collaboratively to develop a curriculum for their heterogeneous student population which ranges from students with special needs to the academically talented. The team gives individual attention through its formal academic monitoring and counseling program. In creating a community for the Academy students to belong to (in a school which numbers about 2,500 students), the team coordinates and offers activities such as an induction ceremony, an open house for the parents, and a graduation ceremony. These events are sponsored by the Healthcare Association of Hawaii.